Having a big event coming up can be quite nerve wrecking, especially when you do not have a dress picked out. Don’t worry about it! 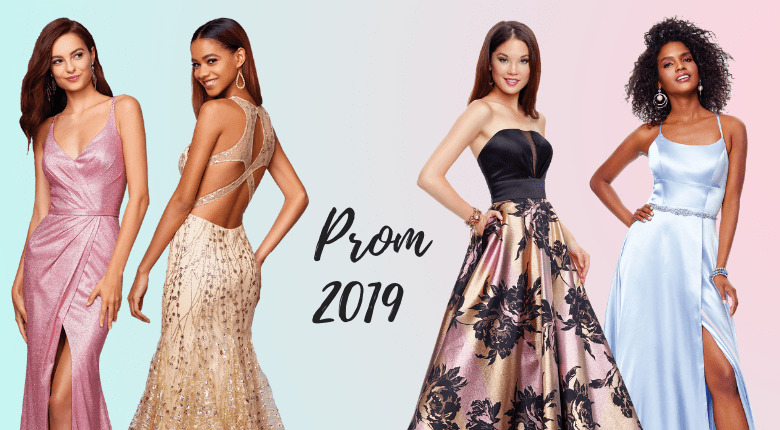 Our Prom dresses 2019 are going to help you prepare for homecoming. All you have to do to buy the right dress is to select the one you like and with a few simple clicks, order it! Instead of wasting a lot of time on the countless Prom websites that you can come across while searching for the perfect gown, stop here. After taking a closer look at our gorgeous options, you will forget that other stores even exist. There are just so many options to choose from! What can you do? Let’s start at the beginning – we have in stock a variety of short, long, vintage, cocktail or even luxurious gowns that will compliment your looks. Now that you know about your options, it is time to talk about price. Is there any reason for you to pay thousands of dollars on a dress that you intend on wearing solely at this event? Seeing as we are able to offer you access to an extensive collection of premium dresses at a more than affordable price, the answer is no. When you are a bit nervous about wearing a short dress, opt for a black one or for darker colors that will slim you down. When you want to stand out of the crowd, pick a daring option such as red or gold. The materials the dress is made of are also important. Choose from velvet or lace or even silk gowns that are designed to make you feel the star of the evening. If you still have doubts regarding the best choice for you, continue browsing through our fantastic collections and pick a few of your favorites. Re-read our tips regarding your body type and what you would like to express while wearing them. This way, it will be easier to narrow down the selection. 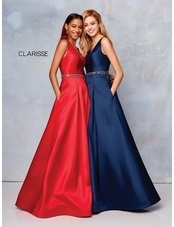 Even though prom might be a few months away, it is never too early to choose one of our Prom dresses 2019. It is always better to be prepared than to postpone until the last second when all the gorgeous options are no longer available. The sooner you invest in a gown, the more relaxed you will feel about this upcoming event. You can now relax and focus on the shoes that go best with your brand new dress. Try on different accessories, hair styles and even make up options. Before you know it, you are getting ready to go to homecoming. This will certainly be the best night of your life as you will look marvelous in a dress that matches your style, preferences and personality! The best idea that you could have would be to search for an option that allows you to expose a small part of your personality. If you are passionate about vintage looks, you will be happy to know that finding a dress that has such a design is easy as we have some beautiful options in stock. If you prefer something a bit more casual, but still elegant, there is a wide range of cocktail dresses that will give you that chic look without you needing to worry about accessorizing it. Again, it all depends on your preferences. Can You Wear Our Unique Prom Dresses at Other Events? Most definitely, yes! All of our gowns are an excellent choice for any formal or semi-formal events that you need to attend. If you have a few different ones coming up in the near future, you can be rest assured that you will be able to find the perfect options for each occasion. What you need to keep in mind is that the dress is the central element of your attire. Regardless of how exquisite your shoes or accessories are, when the dress is not perfect, you will not be happy with your appearance. Here is why you need to find out what works, what doesn’t and make a choice that you will not regret! The solution is simple: find a dress that matches all the key elements associated with your personality, look and preferences. When you are more inclined towards an elegant, yet subtle appearance, a long, A-line dress that comes in a darker color and does not have any sequins or other embellishments, is a suitable choice. If you prefer to stand out of the crowd, choose a short, white dress with sequins or a long, tight gown with a revealing design. We provide options that help you hide the problem areas while emphasizing the gorgeous ones. If you intend on going to prom and short after run off to a wedding, we have a few amazing options in stock that will allow you to look your best at both events without needing to change your dress! Regardless of the event that you are attending, the way you feel is what will remind you of it in a pleasant manner. The good news is that your gown is a big part of it all as it will make you look and feel fantastic; everyone in the room will be able to tell that you are having a great time. We don’t just offer you the option to buy a dress – we provide an experience. How Important Is Your Dress? Extremely important! We pride ourselves in providing an immense collection of gowns that are designed to bring out the best in our clients. When you know more about your body type and exactly how you would like to look at prom, the gown shopping process becomes a whole lot easier. 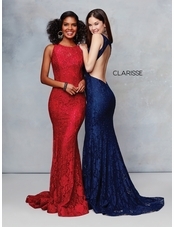 It would be recommended that you look into Unique Prom Dresses because the chances of someone else wearing the one you have chosen are low to none. No matter if you are wearing a subtle dress or one that pops out, everyone will compliment your looks. The dress is essential because it is your starting point when you are working on your prom appearance. The secret is to find one that you feel comfortable in while knowing that any parts you do not particularly like about your body are hidden. Once you have picked out the perfect gown, you are ready to focus on other essential parts of your outfit. After all, you can’t pick accessories or even shoes when you do not know what kind of dress you are going to wear. Our selection of Formal dresses will make you want to buy them all! Don’t worry! We will be here today and the next time you need to purchase a gown for an important event. So will our marvelous dresses that will make you feel like a princess or better yet, like a queen! Before you make a final decision regarding the one that you will purchase, you should make sure it suits your body type. After all, we have countless options for each client, regardless if you are a plus size or have a more athletic appearance. You can even shop based on this specific kind of category so that you are certain that the gown you pick is perfect for you! Accessorizing Your Look: How Much Is TOO Much? In this particular case, what you need to keep in mind is that dresses have different styles and each style will go best with a few specific accessories. There are no fixed rules, but you would certainly be able to pull off the perfect appearance if you take our tips into account when choosing your accessories for the big event. No matter how simple your dress is, you should never combine large earrings with a necklace, a bracelet, a few rings and sparkling shoes. As a rule of thumb, less accessories are better than too many, especially when talking about a formal event. If you are interested in a halter dress, make sure that you don’t wear a necklace. Compliment your gown with a large bracelet and some subtle earrings. When you wear a crew neck dress, go for layered necklaces. A strapless option would go best with daring earrings. The best idea you could have when you want to make sure that your preparation for your event will go as smoothly as possible would be to go dress shopping ahead of time. This would take the edge off and allow you to relax as all other aspects are much easier to handle. Now that you know what you can benefit from when buying from our store, it is time to take a closer look at our gorgeous, affordable dresses. Any questions you may have regarding the gown that suits you best, we are here to offer you all the guidance you require. Start picking the options you prefer and narrow them down based on the look that you are trying to achieve. Do not hesitate to contact us right away if you have any inquiries!